When I turned 20 I added an extra package of ramen noodles to the pot and treated myself to some wine coolers that just happened to appear in my refrigerator. 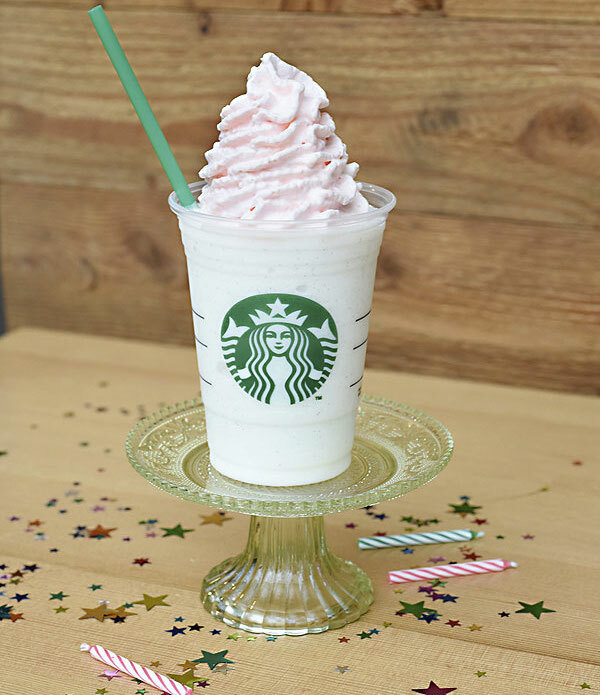 But it appears Starbucks is going the more traditional route to celebrate the 20th anniversary of its Frappuccino, by debuting a limited-time birthday cake flavor. Starbucks first started experimenting with blended drinks in its Los Angeles store in 1993, and began selling coffee-flavored Frappuccino drinks in all of its 500 North American stores in 1995, reports CNNMoney. Starbucks sold 200,000 Frappuccino drinks in the first week, doubling expected sales, according to the company’s director of brand management, Done Moore. The icy concoctions now come in variations that don’t even include coffee, including the birthday cake drink it’s selling March 26 through March 30. The drink is made with vanilla bean and hazelnut flavors blended together and topped with “raspberry-infused” whipped cream. It didn’t come up with the Frappuccino name, however, and instead acquired it when it bought The Coffee Connection, a Boston shop that served frappuccinos in a soft-serve machine. The Frappuccino helped change the company by bringing people into the stores even when it was hot outside, Starbucks says, a time when many people eschew hot drinks in favor of icy refreshment. “With Frappuccino, we were able to level out the dips in store traffic in the summer,” said Dina Campion, who oversaw 10 Starbucks stores in Southern California and was instrumental in bringing the Frappuccino about. In its first summer, the Frappuccino accounted for 11% of sales, boosting the company stock to a record high.